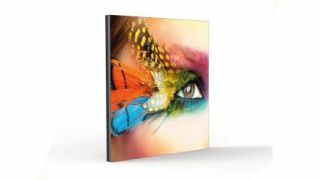 The What: Barco has launched a new product in its super-narrow bezel LCD video wall portfolio: the OverView HVD5521. The What Else: The new OverView HVD5521 features a screen diagonal of 55 inches and a brightness of 700 cd/m². Its extremely narrow total bezel width of only 1.8mm (measured between screens) enhances the visual consistency of the video wall, making it better suited for content that spans multiple displays. To counter the common problem of color and brightness level shifts in LCD video walls, Barco developed the Sense X automatic color and brightness calibration system based on integrated color sensors. This technology automatically balances the video wall at all times, eliminating the need for expensive and time-consuming manual calibration. This not only optimizes uptime, but also contributes to the wall’s low TCO. In addition, the HVD5521 features an optional redundant external power supply that automatically switches to a new unit if one should fail, eliminating downtime due to power supply failure. And because the power supply is located remotely, its maintenance can be performed without disturbing operations. The Bottom Line: Designed for use in control rooms, the HVD features enhanced reliability, lower total cost of ownership (TCO), and minimized maintenance needs.